The prep football season is set to begin tomorrow night for most of the central Oregon teams, but there are some changes to home sites due to smokey and unhealthy air quality conditions in some areas of the state. At the time this was written, all games scheduled to kick off Friday night here with home dates for Summit, Bend, and La Pine are still scheduled. However, Crook County was scheduled to play Phoenix in southern Oregon, but that game has been moved to north of Roseburg and will be played at Sutherlin High School. Officials at the OSAA, the governing body for high school sports is closely monitoring the DEQ air quality site, and also the heat index guide as temperatures are expected to reach triple digits in some areas by tomorrow. 24-hours. You can find updated information online at ‘O-S-A-A dot org.’ and we will alert you as we receive new information, also. Posted: 2017-08-31 08:22:00	by Metro Source Media Metworks, Inc.
(Portland, OR) -- The Trail Blazers are moving on from forward Andrew Nicholson. Portland waived Nicholson on Wednesday and are using the stretch provision to spread out his salary cap hit. The Blazers acquired him in the Allen Crabbe trade last month. He's entering the second year of a four-year, 26-million-dollar deal. Posted: 2017-08-31 08:21:00	by Metro Source Media Metworks, Inc.
(Undated) -- In college football action on Saturday, Oregon opens its 2017 season at home versus Southern Utah. 3 o'clock pre-game on KBND. The Ducks will officially begin the Willie Taggart era. He was hired as Oregon's new head coach in December. Also on Saturday, Portland State travels to Corvallis to visit the Beavers. Each team is 0-and-1 after losing last Saturday. Posted: 2017-08-31 08:20:00	by Metro Source Media Metworks, Inc.
(Undated) -- In Minor League Baseball action on Wednesday, the Hops slipped past the Tri-City Dust Devils, 2-0, in Hillsboro. Kevin McCanna and three other pitchers combined on a six-hit shutout. The Hops are off tonight. The Volcanoes fell to the Spokane Indians, 10-5, in Keizer. Manuel Geraldo homered in defeat. The Volcanoes are also off tonight. (Oakland, CA) -- The Seahawks close out preseason play against the Raiders in Oakland tonight. Starters aren't expected to play much, if at all. Seattle is 3-and-0 in exhibition play following last week's 26-13 win over the Chiefs. The 'Hawks open the regular season a week from Sunday against the Packers in Green Bay. An Oregon man has filed a class-action lawsuit against Showtime for streaming problems from the Mayweather-McGregor fight Saturday night. The man, Zack Bartel, is alleging that he paid the $99.99 fee to stream the fight in high-definition from a Showtime app, only to suffer through an unstable feed with poor resolution and numerous freezes. The filing included screen shots taken by Bartel, showing subpar video quality, and an example of an error message. It also included many tweets by other frustrated would-be viewers who were complaining about the Showtime app. The lawsuit stated, Instead of being a 'witness to history' as defendant had promised, the only thing plaintiff witnessed was grainy video, error screens, buffer events, and stalls. Posted: 2017-08-30 09:11:00	by Metro Source Media Metworks, Inc.
(Undated) -- The Oregon Ducks look to start the 2017 season off with a bang when they open up this weekend. First year coach Willie Taggart is looking to lead the Ducks back after a disappointing 2016 campaign. Oregon welcomes the Southern Utah Thunderbirds to Eugene on Saturday. Pre-game show on KBND starts at 3:00 p.m. Also on Saturday, Oregon State looks to recover from a 58-27 loss at Colorado State in its opener. The Beavers host Portland State in Corvallis. 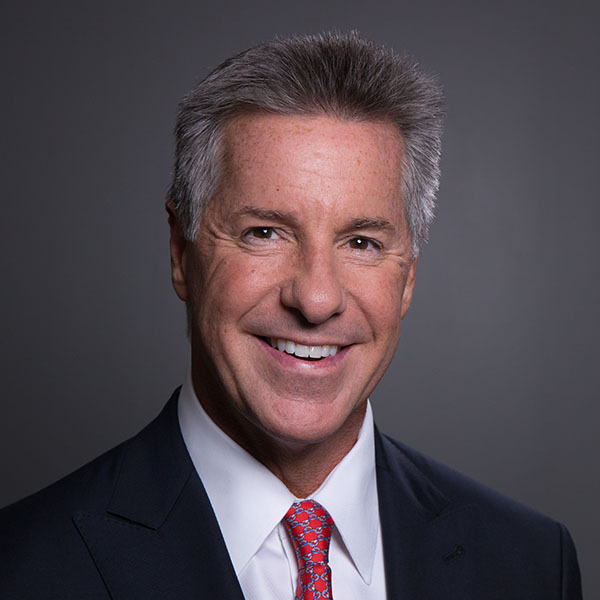 Portland Trail Blazers President of Basketball Operations Neil Olshey has agreed to a contract extension to remain with the franchise through the 2021 season. Olshey joined the Blazers front office in 2012 when he was hired away from the L.A. Clippers to become Portland's GM. He was entering the final guaranteed year of that deal prior to agreeing to the new extension. Olshey signed his first contract extension with the Blazers in January 2015. He was entering the final guaranteed year of that deal prior to agreeing to the new extension. The Blazers begin Fall training camp in 3 weeks. In college hoops news…Oregon State officially announced it will host the second ‘Dam City Classic’ at the Moda Center. The OSU men's and women's basketball teams will play a doubleheader on Saturday, Dec. 16. The men play Saint Louis and the women's team will play UC Santa Barbara. Posted: 2017-08-30 09:10:00	by Metro Source Media Metworks, Inc.
(Undated) -- In minor league baseball, the Hops lost 5-2 to the Tri-City Dust Devils in Hillsboro. At 39-and-33, the Hops have already clinched a spot in the Northwest League playoffs. The Salem-Keizer Volcanoes suffered a 6-4 home loss to the Spokane Indians. The Volcanoes fell to 28-and-44. Hillsboro and Salem-Keizer both wrap up the regular season tonight. (Renton, WA) -- The Seahawks close out the preseason on the road against Marshawn Lynch and the Oakland Raiders tomorrow. Lynch will most likely not play along with most starters on both sides. All NFL teams must trim their rosters from 90 players to 53 by Saturday afternoon. Seattle is 3-and-0 in exhibition play thus far. They open the regular season on September 10th at Green Bay. Portland Timbers midfielder Darlington Nagbe has been named to the U.S. Men's National Team for next years FIFA World Cup qualifiers against Costa Rica and Honduras. Nagbe is one of 26 players named to the squad and will join the National Team this week, and return to the Timbers ahead of their next match against New York City FC at Yankee Stadium early next month. The US team will face Costa Rica in New Jersey on Friday before traveling to play Honduras in San Pedro one week from today. The Timbers have six games remaining in the regular season and are currently in 2nd place in the Western Conference of the M-L-S.
Hurricane Harvey has forced both the Houston Astros and NFL Texans to vacate the city for their upcoming games. The Astros will play the Rangers starting tonight in a 3-game series in St. Petersburg, Florida at Tropicana Field. Houston did not make it home yesterday after a series in Anaheim against the Angels to check on their homes, and families, but will play in Florida for at least their next 3 games. And, Thursday night…the Houston Texans will play the Cowboys in Dallas to wrap up the preseason. Posted: 2017-08-29 09:30:00	by Metro Source Media Metworks, Inc.
(Renton, WA) -- The Seahawks close out the preseason on Thursday on the road against Marshawn Lynch and the Oakland Raiders. Lynch will most likely not play along with most starters on both sides. All NFL teams must trim their rosters from 90 players to 53 by Saturday afternoon. Seattle is 3-and-0 in exhibition play thus far. They open the regular season on September 10th at Green Bay. (Undated) -- The Oregon Ducks look to start the 2017 season off with a bang when they open up this weekend. First year coach Willie Taggart is looking to lead the Ducks back after a disappointing 2016 campaign. Oregon welcomes the Southern Utah Thunderbirds to Eugene on Saturday. Also on Saturday, Oregon State looks to recover from a 58-27 loss at Colorado State in its opener. The Beavers host Portland State in Corvallis. Posted: 2017-08-29 09:29:00	by Metro Source Media Metworks, Inc.
(Undated) -- In minor league baseball, the Hops lost 4-3 to the Tri-City Dust Devils in Hillsboro. At 39-and-32 the Hops have already clinched a spot in the Northwest League playoffs. The Salem-Keizer Volcanoes suffered a 9-4 home loss to the Spokane Indians. The Volcanoes fell to 28-and-43. The college football season kicked off Saturday and Oregon State was one of two teams to be the first on the gridiron. In Fort Collins, Colorado State ran away from and ran past the Beavers defense in an easy 58-27 win. OSU plays Portland State early Saturday morning at 11am in its home opening game. Portland State played BYU tough on the road in Provo, but came up short losing to the Cougars, 20-to-6. Elsewhere…14th ranked Stanford crushed Rice in Australia, 62-7. The Oregon Ducks tee it up this Saturday night at Autzen Stadium when they start the season with Southern Utah. Pre-game and 3:00 p.m. here on the home of the Ducks, FM News 100.1 and 1110 KBND. Posted: 2017-08-28 09:23:00	by Metro Source Media Metworks, Inc.
(Portland, OR) -- The Timbers played to a 1-1 draw with the Seattle Sounders in Portland last night. Diego Valeri scored on a penalty kick for Portland, which is a point behind Seattle for the top spot in the West. The Timbers are off until September 9. Posted: 2017-08-28 09:22:00	by Metro Source Media Metworks, Inc.
(Undated) -- In minor league baseball, the Hops came away with a 7-3 win over the Tri-City Dust Devils in Hillsboro. The Hops improved to 39-and-31. The Salem-Keizer Volcanoes suffered a 5-4 home loss to the Spokane Indians. The Volcanoes fell to 28-and-42. Posted: 2017-08-28 09:21:00	by Metro Source Media Metworks, Inc.
(Fort Collins, CO) -- Oregon State opened the new football season with a 58-27 road loss to Colorado State. Jake Luton was 27-of-47 for 304 yards, two touchdowns and three interceptions for the Beavers. Ryan Nall rushed for 115 yards and a score in defeat. Oregon State hosts Portland State on Saturday. Posted: 2017-08-25 05:43:00	by Metro Source Media Metworks, Inc.
(Provo, UT) -- The Portland State Vikings open the 2017 season against FBS-foe BYU in Provo tomorrow. PSU looks to score an upset over the Cougars. The Vikings are looking to rebound from a 3-and-8 season last year under Bruce Barnum. Kick-off is at noon. (Fort Collins, CO) -- The Oregon State Beavers kick off the 2017 season tomorrow with a road game against Colorado State. Gary Andersen enters his third season at the helm for Oregon State, who looks to improve on a 4-and-8 season last fall. Jake Luton, a 6-foot-7 quarterback who transferred to Corvallis in the spring, is set to start at quarterback. Kick-off is at 11:30 a.m.
Posted: 2017-08-25 05:42:00	by Metro Source Media Metworks, Inc.
(Undated) -- In Minor League Baseball action on Wednesday night, the Hops took down the Hawks, 7-1, in Hillsboro. Daulton Varsho clubbed a two-run homer and finished with three RBI in the win. The Hops host Boise again this afternoon. The Volcanoes fell to the Emeralds, 4-3, in Eugene. John Russell gave up the walk-off run to take the loss. Salem-Keizer clashes with Eugene again tonight. (Seattle, WA) -- The Portland Timbers clash with rival Seattle Sounders FC on Sunday evening at CenturyLink Field. Portland is tied for second in the Western Conference with 40 points, one behind first place Seattle. The game starts at 6:30 p.m.
Posted: 2017-08-25 05:41:00	by Metro Source Media Metworks, Inc.
(Seattle, WA) -- The Seahawks continue preseason play tonight as they host the Chiefs. Seattle moved to 2-and-0 in exhibition play with a 20-13 home win over the Vikings last Friday. The 'Hawks wrap up the preseason against the Raiders on Thursday. Posted: 2017-08-25 05:40:00	by Metro Source Media Metworks, Inc.
(Las Vegas, NV) -- Undefeated welterweight boxing champion Floyd Mayweather Junior puts his perfect record on the line tomorrow night when he faces MMA star Conor McGregor in a boxing match in Las Vegas. Mayweather is the heavy favorite as this is McGregor's first professional boxing match. McGregor is 21-and-3 in the UFC. The fight will air on Showtime pay-per-view. The main card begins at 6 p.m. The Oregon-IMG Sports Network has announced that 31 year veteran play-by-play announcer Jerry Allen will be stepping away as the lead announcer for the upcoming basketball season. Allen will remain as the voice of the Ducks when football kicks off on September 2nd, but after 31 seasons indoors, Allen will become the color analyst for Joe McMurray who has been assisting Allen the past three years and who took over calling Ducks baseball at the same time. Allen, 67, became the Ducks announcer in 1986 when KBND owner Chuck Chackel started the ‘Oregon Sports Network’ in Eugene and he plans to spend more time with his family and Grandchildren, but is looking forward to Willie Taggart era when football season officially begins when the Ducks host Southern Utah here on KBND. Posted: 2017-08-24 10:23:00	by Metro Source Media Metworks, Inc.
(Undated) -- Oregon State kicks off the 2017 season on Saturday with a road game against Colorado State. The Beavers look to bounce back from a 4-and-8 season last year. Oregon opens its season next Saturday at home versus Southern Utah. Posted: 2017-08-24 10:22:00	by Metro Source Media Metworks, Inc.
(Portland, OR) -- Diego Valeri and Darlington Nagbe scored two minutes apart as the Timbers topped the Colorado Rapids, 2-1, at Providence Park. Valeri scored his fifth goal in five games for Portland in the 21st minute, and Nagbe extended the lead in the 23rd minute. The Timbers are tied for second in the West with 40 points. They'll visit first-place Seattle on Sunday. (Eugene, OR) -- The Oregon Ducks have added a commitment to their 2017 class. Junior college defensive tackle Malik Young has committed to the Ducks and is eligible this fall. He spent the 2016 season at Eastern Arizona College and had 46 tackles and two-and-a-half sacks. (Undated) -- The Oregon State men's basketball team cruised to a 110-40 win over Club Baloncesto Unicaja Malaga in Spain on Wednesday. Tres Tinkle finished with 20 points, eight steals and six rebounds for the Beavers. They'll return home on Sunday. Posted: 2017-08-24 10:21:00	by Metro Source Media Metworks, Inc.
(Undated) -- In Minor League Baseball action on Wednesday, the Salem-Keizer Volcanoes dropped the Eugene Emeralds, 4-3, in Eugene. Manuel Geraldo drilled a two-run double in the win. The series continues today in Eugene. The Hillsboro Hops fell 5-1 at home to the Boise Hawks. Ryan Luna tossed six innings of one-run ball to get the win. The Hops host Boise again today. Posted: 2017-08-24 09:15:00	by Metro Source Media Metworks, Inc.
(Seattle, WA) -- The Seahawks continue preseason play tomorrow when they host the Vikings. Seattle moved to 2-and-0 in exhibition play with a 20-13 home win over the Vikings last Friday. The 'Hawks wrap up the preseason against the Raiders a week from today. Posted: 2017-08-23 11:46:00	by Metro Source Media Metworks, Inc.
(Undated) -- Oregon State kicks off the college football season on Saturday when they visit Colorado State. The Beavers look to bounce back from a 4-and-8 year last season. The Oregon Ducks host Southern Utah on September 2nd. Posted: 2017-08-23 11:45:00	by Metro Source Media Metworks, Inc.
(Eugene, OR) -- The Oregon Ducks are locking up baseball coach George Horton for the foreseeable future. The school and Horton agreed to an extension that will keep him in Eugene through 2020. Horton is 320-220-and-1 in nine seasons with the Ducks and has led Oregon to five postseason appearances. Posted: 2017-08-23 11:44:00	by Metro Source Media Metworks, Inc.
(Renton, WA) -- The Seahawks are back on the field today as they prep for their third preseason game. Seattle welcomes Kansas City to CenturyLink Field on Friday. The Seahawks are 2-and-0 in exhibition action with wins over the Chargers and Vikings. The regular season gets underway on September 10th at Green Bay. (Keizer, OR) -- The Hops scored seven runs in the third inning and held on to top the Volcanoes, 9-6, in Salem. Seven different players drove in a run for Hillsboro in the winning effort. Jhoan Duran earned the win and Matt Brill notched the save. The Hops took the final three games of the four-game set. Jose Marte gave up eight runs, two earned, over two-and-two-thirds innings to take the loss for the Volcanoes. Ryan Kirby homered, doubled, and picked up two RBI in defeat. (Portland, OR) -- The Portland Timbers play host to the Colorado Rapids tonight in MLS action. Portland earned a 2-0 win over the New York Red Bulls at home last Friday. The Timbers are in fourth place in the Western Conference with 37 points. Game time is set for 6:30 p.m.
Posted: 2017-08-22 11:47:00	by Metro Source Media Metworks, Inc.
(Keizer, OR) -- The Hops scored four early runs and held on to top the Volcanoes, 9-5, in Salem. Daulton Varsho had a pair of homers and Luis Lara also went deep for Hillsboro. Tyler Badamo tossed six innings of four-run ball to pick up the win for the Hops. John Timmins was chased after one frame and four runs in the loss for the Volcanoes. The final matchup of the four-game series is tonight. First pitch is at 6:35 p.m.
(Portland, OR) -- The Portland Timbers play host to the Colorado Rapids tomorrow in MLS action. Portland earned a 2-0 win over the New York Red Bulls at home last Friday. The Timbers are in a tie for third place in the Western Conference with 37 points. Posted: 2017-08-22 11:46:00	by Metro Source Media Metworks, Inc.
(Renton, WA) -- In the wake of the injury to offensive tackle George Fant, the Seahawks are adding even more depth to their depleted offensive line. Seattle finalized a deal yesterday for Philadelphia Eagles' reserve tackle Matt Tobin. The 'Hawks are sending a 2018 fifth-round pick to Philly in exchange for Tobin and a seventh-rounder. The 27-year old lineman played in 42 games, starting 21, since arriving in Philadelphia as an undrafted rookie from Iowa in 2013. Posted: 2017-08-22 11:45:00	by Metro Source Media Metworks, Inc.
(Undated) -- NFL commissioner Roger Goodell is close to signing a five-year contract extension. Multiple outlets report the deal will keep him commish through 2024. The 58-year-old has been commissioner since 2006. Goodell began his career in pro football as an intern at the NFL office in 1982. The Oregon State men's basketball team is safe, but witnessed the horrific carnage caused by yesterday’s terror attack in Barcelona that left at least 12 people dead and dozens more injured. No decision had been made on whether to cut the 13-day off-season trip short in the wake of the attack, OSU athletic director Scott Barnes said while addressing reporters after football practice at Reser Stadium. Barnes said he had been in constant contact with coach Wayne Tinkle and a collective decision that prioritized safety would come in the near future. According to Barnes, the Beavers were in the lobby of their Barcelona hotel at the time of the attack. OSU was on the way to a pregame dinner at the hotel when a white van jumped onto the nearby sidewalk and swerved to intentionally hit pedestrians. The Beavers left Monday for Barcelona and scheduled 5 games from yesterday through one week from today. The attack happened less than 5 hours before the team was scheduled to play. The trips are commonplace in the college basketball landscape and Arizona, Clemson, Grand Canyon and Tulane were also in Spain at the time of the attack. Posted: 2017-08-18 09:54:00	by Metro Source Media Metworks, Inc.
(Corvallis, OR) -- The Beavers football team will watch the eclipse Monday together. Oregon State coach Gary Andersen said practice will be backed up an hour so everyone could attend the once-in-a-lifetime event. OSU opens the season on August 26th at Colorado State. Posted: 2017-08-18 09:53:00	by Metro Source Media Metworks, Inc.
(Portland, OR) -- The Timbers take on the sizzling New York Red Bulls tonight at Providence Park. The Bulls have won five of their past six matches and nine of their last 11. Portland is coming off a 4-1 loss at Toronto FC. New York is second in the MLS Eastern Conference with 43 points, four behind Toronto. The Timbers rank fifth in the West with 34 points, but only three points out of first. (Eugene, OR) -- Oregon will have a new punter. Blake Maimone, a sophomore walk-on, and Adam Stack, a true freshman on scholarship, are competing for the Ducks' job. Ian Wheeler did the punting the past three years. Aidan Schneider will handle the kicking. Posted: 2017-08-18 09:52:00	by Metro Source Media Metworks, Inc.
(Hillsboro, OR) -- Hops hurlers Jhoan Duran, Luis Castillo and Breckin Williams combined on a one-hitter in a 3-0 victory over the Eugene Emeralds at Ron Tonkin Field. Jose Gonzalez singled leading off the third off Duran for the lone Eugene hit. Duran walked one and struck out five over seven innings to pick up his fourth victory. The two teams meet again tonight in Hillsboro to conclude their three-game series. Posted: 2017-08-17 07:21:00	by Metro Source Media Metworks, Inc.
(Eugene, OR) -- Ducks running back Royce Freeman could break several Oregon records this season. He has rushed for 4,146 yards in three seasons. LaMichael James holds the school record with 5,082 yards. Freeman ranks seventh with 4,792 total yards, fourth with 282 points and third with 47 touchdowns. Shin and sternum injuries limited him last season. The Ducks kick off the season September 2nd against Southern Utah. The College football season kicks off one week from Saturday and the Oregon State Beavers will play the first game of the season when they travel to Fort Collins to meet Colorado State in an 11:30am kickoff televised on the CBS Sports Network cable channel. The Ducks open up the 2017 season two weeks from Saturday at Autzen Stadium hosting Southern Utah. Posted: 2017-08-16 09:19:00	by Metro Source Media Metworks, Inc.
(Eugene, OR) -- Jordon Scott and Austin Faoliu are conceivable defensive line starters as true freshmen for the Ducks this season. Scott is a three-star recruit out of Florida. Faoliu is a three-star recruit from California. Freshman cornerback Thomas Graham Junior has been lining up with the first-team Oregon defense in practice. (Corvallis, OR) -- The Beavers are looking for a replacement for first-team slot receiver Seth Collins. The junior is out indefinitely with a finger injury, his right hand bandaged as he watches practice. Senior Xavier Hawkins and sophomore Trevon Bradford are the leading candidates to start in Collins' place. Oregon State opens the season on August 26th at Colorado State. Posted: 2017-08-16 09:18:00	by Metro Source Media Metworks, Inc.
(Undated) -- The Hops lost 4-3 to the Tri-City Dust Devils on the road. Hillsboro managed only three singles, but drew nine walks. The Diamondbacks' farm club fell to 31-and-27. The Hops return home tonight to play Eugene. (Portland, OR) -- The Timbers are back on the pitch taking on the New York Red Bulls Friday at Providence Park. Portland is coming off a 4-1 loss at Toronto FC. They are 9-9-and-7 with 34 points. The Red Bulls are 12-9-and-2 with 43 points. The Westcoast collegiate summer League comes to a close tonight in Corvallis with the third and final game of the Championship series with the defending League Champion Corvallis Knights hosting the Victoria Harborcats. Last night, Corvallis shutout Victoria 6-zip at Goss Stadium/Coleman Field, the home of the Oregon State Beavers. The game was scoreless until the 8th inning when the Knights put up 6 runs on 6 hits including a 2-out Triple by former Bend Lava Bear Elliot Willy who sparked the rally. Willy also drilled a solo home run in Corvallis’ 5-4 loss in Game-1 of the Title series Saturday night. Willy is 7 for 14 with 3 RBI batting five-hundred (.500) in 5 playoff games for Corvallis who is seeking its 5th W-C-L Championship since 2008. Posted: 2017-08-15 10:30:00	by Metro Source Media Metworks, Inc.
(Portland, OR) -- The Trail Blazers will open their NBA season October 18th in Phoenix. After playing the Suns, the Blazers will play at Indiana and Milwaukee on October 20th and 21st. They return on October 24th to Portland to face the Pelicans at the Moda Center. The Blazers will play 11 of its next 13 games at home. Their first of 11 national television appearances will be November 2nd against the Lakers. Posted: 2017-08-15 10:29:00	by Metro Source Media Metworks, Inc.
(Portland, OR) -- The Timbers are back on the pitch taking on the New York Red Bulls on Friday at Providence Park. Portland is coming off a 4-1 loss at Toronto FC. They have 34 points, putting them fifth in the West, but only three points behind three teams tied for first. Posted: 2017-08-14 09:25:00	by Metro Source Media Metworks, Inc.
(Eugene, OR) -- Oregon finished up the second week of fall camp with a scrimmage on Saturday at the Hatfield-Dowlin Complex. It was closed to the media. Reports from @DuckFootball had the offense looking good, including quarterback Justin Herbert completing 17-of-20 passes with four touchdowns. Posted: 2017-08-14 09:24:00	by Metro Source Media Metworks, Inc.
(Corvallis, OR) -- Oregon State also had a scrimmage on Saturday at Reser Stadium. It was open to the public and media. "Oregon Live" reported wide receiver Seth Collins missed the scrimmage due to an injured finger. He has no timetable for a return. Posted: 2017-08-14 09:23:00	by Metro Source Media Metworks, Inc.
(Los Angeles, CA) -- The Seahawks opened preseason play with a 48-17 rout of the Chargers in LA. Russell Wilson was 3-of-4 for 41 yards in limited action. Trevone Boykin was 12-of-15 for 189 yards and a touchdown in the victory. The 'Hawks host the Vikings on Friday. (Toronto, Ontario) -- The Timbers were no match for Toronto FC as they lost 4-1 on Saturday at BMO Field. Diego Valeri had the only goal for Portland, which is third in the West with 34 points. They're three points behind the three teams tied for first. The Timbers host the New York Red Bulls on Friday. The Westcoast League Championship series got underway Saturday in Victoria, British Columbia with the hometown Harbor Cats taking the opening game of the Title series in walk-off fashion in their first Championship appearance. Victoria came from behind and scored two runs in the bottom of the 9th inning to beat Corvallis, 5-4. Former Bend star Elliot Willy, now playing at Oregon State, cracked a solo home run in the 2nd inning for the Knights in the loss. Game-2 of the W-C-L Championship series is tonight in Corvallis at Goss Stadium-Coleman Field. Corvallis needs a win to force a deciding third game tomorrow night also in Corvallis. The Knights are appearing in the Title series for the 9th time. Posted: 2017-08-11 08:22:00	by Metro Source Media Metworks, Inc.
(Houston, TX) -- Carmelo Anthony may find his way to Houston after all. Multiple reports state the New York Knicks and the Houston Rockets have opened up trade discussions again. Anthony has a full no-trade clause in his contract, so Knicks would need his approval to make a deal. The Blazers had previously expressed interest in acquiring Anthony. Damian Lillard and C.J. McCollum have each tried to recruit him to Portland. Posted: 2017-08-11 08:21:00	by Metro Source Media Metworks, Inc.
(Toronto, Ontario) -- The Timbers hit the road to face Toronto FC tomorrow. The Timbers are in a four-way tie for second place in the Western Conference with 34 points. Toronto leads the MLS with 44 points and is unbeaten in eleven matches at home this season. (Undated) -- College football season kicks off in less than a month. Oregon State opens the season with a road game against Colorado State on August 26th. Oregon will host Southern Utah in Eugene to kick off the season on September 2nd. Posted: 2017-08-11 08:20:00	by Metro Source Media Metworks, Inc.
(Renton, WA) -- The Seahawks raise the curtain on the preseason this weekend. Seattle begins exhibition play against the Chargers in LA on Sunday. The 'Hawks open the home portion of their preseason schedule against the Vikings a week from Friday. The regular seasons begins September 10. Posted: 2017-08-10 09:21:00	by Metro Source Media Metworks, Inc.
(Corvallis, OR) -- Oregon State reeled in another commit on Wednesday. Three-star tight end Isaiah Smalls out of Dorsey High School in Los Angeles has committed to play for the Beavers. He tweeted his commitment last night and chose the Beavers over offers from Arizona, Arizona State, Cal and others. Posted: 2017-08-10 09:19:00	by Metro Source Media Metworks, Inc.
(Renton, WA) -- The Seahawks are gearing up for the start of the preseason. Seattle begins exhibition play against the Chargers in LA on Sunday. The 'Hawks open the home portion of their preseason schedule against the Vikings a week from Friday. The regular seasons begins September 10. (Toronto, Ontario) -- The Timbers hit the road to face Toronto FC on Saturday. The Timbers are in a four-way tie for second place in the Western Conference with 34 points. Toronto leads the MLS with 44 points and is unbeaten in 11 matches at home this season. (Portland, OR) -- The Trail Blazers are signing guard C.J. Wilcox to a two-way contract. The 26-year-old has played in 66 career games with the Magic and Clippers. Wilcox was the 28th overall pick in the 2014 NBA Draft. Two-way contracts are new deals that allow players to spend up to 45 days with the NBA club and the rest of the season with a G-League team. Posted: 2017-08-10 09:18:00	by Metro Source Media Metworks, Inc.
(Hillsboro, OR) -- Ryan Kirby plated the go-ahead run on an RBI-groundout in the eighth inning as the Volcanoes edged the Hops, 4-3, in Hillsboro. Dalton Combs singled in the tying run in the seventh for Salem-Keizer. Matt Peacock took the loss for the Hops. The rubber match of the three-game series is tonight. First pitch is at 7:05 p.m.
Posted: 2017-08-09 07:54:00	by Metro Source Media Metworks, Inc.
(Corvallis, OR) -- The Oregon State Beavers have landed Texas running back Kase Rogers. Rogers announced via Twitter that he will officially join the Beavers over offers from Florida Atlantic and Utah. The 5-foot-11,180-pound prospect joins a crowded backfield and barring a surprise Oregon State will not add another running back in the 2018 class. (Corvallis, OR) -- Former Oregon State quarterback Marcus McMaryion will transfer to Fresno State. The decision comes after Beavers coach Gary Andersen officially named Jake Luton as the Beavers' starter. McMaryion is immediately eligible for two seasons at Fresno State because he already earned his undergraduate degree at OSU. (Undated) -- The Oregon Ducks and Oregon State Beavers continue to prepare for the upcoming season. The Ducks are looking to bounce back from a disappointing last-place finish in the Pac-12 North and open the 2017 season on September 2nd against Southern Utah in Eugene. Oregon State opens up on August 26th at Colorado State. Posted: 2017-08-09 07:53:00	by Metro Source Media Metworks, Inc.
(Renton, WA) -- Training camp rolls on for the Seahawks. The 'Hawks open preseason play against the Chargers on Sunday. They open the regular season on September 10th at Green Bay. (Toronto, Ontario) -- The Timbers are back in action this weekend as they visit Toronto FC on Saturday. Led by U.S. National star Jozy Altidore, Toronto is tops in the entire MLS with 44 points. With 34 points, Portland is three-points behind Sporting KC in a tight Western Conference race. The Timbers were victorious the last time the teams faced off, 2-1 in May of last season. Posted: 2017-08-08 09:02:00	by Metro Source Media Metworks, Inc.
(Undated) -- In minor league baseball, the Salem-Keizer Volcanoes lost to the Everett AquaSox, 7-6. Logan Baldwin homered and Stetson Woods suffered his first loss. The Hops suffered a 10-6 loss to the Vancouver Canadians in Hillsboro. (New York, NY) -- Former Oregon State basketball coach Craig Robinson is the newest member of the New York Knicks' staff. Robinson led the men's basketball program in Corvallis from 2008-through-2014 and compiled a 94-and-105 record. League sources told The Vertical that Robinson's role with New York will include player development and he'll serve as general manager of the Knicks' development G League team. Posted: 2017-08-08 09:01:00	by Metro Source Media Metworks, Inc.
(Renton, WA) -- Training camp rolls on for the Seahawks. Seattle's second-round pick Malik McDowell is expected to miss an extended period of time while recovering from a July accident according to head coach Pete Carroll. The 'Hawks open preseason play against the Chargers on Sunday. They open the regular season on September 10th at Green Bay. We start this first Friday with the Bend Elks who come to the wire and the close of the regular season in the Westcoast collegiate summer League season, and still…a chance to make the Playoffs. game-1 of a weekend 3-game set and Bend is only 1-1/2 games out of winning the division, and still only a one-game behind Cowlitz and Yakima who hold second place. It truly is a ‘must-win’ game for the Elks who have to win the Division to advance to the postseason. Cowlitz has lost 7 of their last 10-games. Game-2 of the series with the Black Bears is at 635pm tomorrow night, and 505pm Sunday to wrap it up. Posted: 2017-08-04 07:50:00	by Metro Source Media Metworks, Inc.
(Ogden, UT) -- Weber State University will honor Blazers guard Damian Lillard by retiring his number-one jersey this month. The ceremony will take place on August 26th at the men's basketball alumni classic. Lillard averaged 18.6 points over 104 career games for the Wildcats, and was twice named Big Sky Player of the Year. Lillard graduated with his bachelor's degree in 2015. Posted: 2017-08-04 07:41:00	by Metro Source Media Metworks, Inc.
(Eugene, OR) -- According to Scout.com, the Oregon Ducks currently have the number-five recruiting class in the country for 2018. New head coach Willie Taggart has 21 commits for next season, including nine four-star players. The Ducks open the regular season on September 2nd versus Southern Utah. Posted: 2017-08-04 07:40:00	by Metro Source Media Metworks, Inc.
(Undated) -- In Minor League Baseball action last night, the Everett AquaSox dropped the Salem-Keizer Volcanoes, 11-10, at Volcanoes Stadium. Malique Ziegler doubled and tripled for Salem-Keizer in defeat. The series resumes today. Camden Duzenack singled in the walk-off run in the bottom of the 11th inning as the Hillsboro Hops beat the Vancouver Canadians, 9-8, at home. The series resumes today. (Renton, WA) -- Training camp continues for the Seahawks. Seattle placed rookie defensive tackle Malik McDowell on the non-football injury list yesterday. McDowell was injured in an ATV accident a couple of weeks ago. The 'Hawks selected McDowell out of Michigan State in the second round of this year's draft. (Portland, OR) -- The Timbers play host to the Los Angeles Galaxy on Sunday at Providence Park. Portland currently sits fourth in the Western Conference with 31 points. The Galaxy have 23 points. Posted: 2017-08-03 05:22:00	by Metro Source Media Metworks, Inc.
(Bend, OR) -- Oregon State wide receiver Seth Collins is moving to the slot. He will join Jordan Villamin and Isaiah Hodgins as the Beavers' starting receivers. All stand at least 6-foot, 3 inches, giving quarterback Jake Luton three tall receivers. Posted: 2017-08-03 05:21:00	by Metro Source Media Metworks, Inc.
(Eugene, OR) -- The Ducks' practice today has been moved from a 3 p.m. start to beginning at 9 a.m. Unseasonal Oregon temperatures of 100-degrees-plus forced the change. Meanwhile, the Ducks received another verbal commitment for their 2018 class. Temecula, California four-star offensive lineman Steven Jones became the 21st pledge for next year. Posted: 2017-08-03 05:20:00	by Metro Source Media Metworks, Inc.
(Portland, OR) -- Timbers captain Liam Ridgewell could play Sunday against the LA Galaxy at Providence Park. Ridgewell has missed the past eight games with a quad injury. Ridgewell returned to practice this week. Portland is in fourth place in the MLS West with 31 points. LA is ninth with 23 points. The Bend Elks played a non-league game at Vince Genna Stadium last night and lost 6-4 to North Sound from the Seattle area. Bend committed several errors, and issued walks, plus a wild pitch led to the defeat. However, the Elks brought the tying run to the plate twice in the 9th inning and couldn’t get a run across. The Elks have today and Thursday off before they entertain the Cowlitz Black Bears on Friday in the opening game of a three-game series to conclude the West Coast League regular season. Bend is 25-and-25 overall and currently fourth in the tight South Division standings but remains in contention for a playoff berth. Depending on the outcome of other games tonight, and tomorrow evening the Elks could be all but out of the hunt by the time they return to action Friday. Bend is 1-1/2 games out from winning the South Division which is held by Corvallis and Cowlitz, who are both tied. Posted: 2017-08-02 07:23:00	by Metro Source Media Metworks, Inc.
(Eugene, OR) -- True freshman cornerback Thomas Graham intercepted a Justin Herbert pass and returned it for a touchdown, highlighting the Ducks' practice. Graham enrolled early at Oregon to participate in spring drills. He is lining up with the first unit. (Bend, OR) -- Jake Luton will be the Oregon State starting quarterback for the August 26th opener at Colorado State. Coach Gary Anderson said Luton won the competition over incumbents Marcus McMaryion and Darell Garretson. Luton, who stands 6-foot-7, is a transfer from Ventura Community College. Garretson started the first six games last year before breaking his leg against Utah. McMaryion started the final six games. (Portland, OR) -- The Trail Blazers will host the Suns on October 3rd at the Moda Center in their NBA preseason opener. They will play six games over an 11-day span before starting the regular season. Portland will conclude the preseason with an October 13th home game against Maccabi Haifa from the Israeli pro league. Posted: 2017-08-02 07:22:00	by Metro Source Media Metworks, Inc.
(Hillsboro, OR) -- The Northwest League scored all their runs in the fifth inning to beat the Pioneer League All-Stars 5-4 before a capacity crowd at Ron Tonkin Field. Diamondbacks catching prospect Daulton Varsho drew a four-pitch walk with the bases loaded in the fifth. Hops right-hander Riley Smith pitched a scoreless inning. Rockies outfield prospect Daniel Jipping won the Home Run Derby. (Eugene, OR) -- Several sources reported former Oregon coach Mark Helfrich will be in the TV booth this fall. He will work as a college football analyst for Fox Sports. He was fired last November after four seasons as the Ducks coach. Ashton Eaton, a 2-time Olympic Gold medalist and 5-time World Champion Decathlete, and his wife, Brianne Theisen-Eaton, will be inducted into the Oregon Sports Hall of Fame in September. Also scheduled to be inducted at Multnomah Athletic Club in Portland on Sept. 19 is 5 time State Champion retired head football coach at Roseburg High, Thurman Bell along with the 2002 University of Portland NCAA championship women’s soccer team and the 2006 and 2007 Oregon State College World Series champions. Posted: 2017-08-01 06:53:00	by Metro Source Media Metworks, Inc.
(Eugene, OR) -- Defensive lineman Scott Pagano sat out the first Oregon practice with a boot on his left foot. The Clemson graduate transfer is recovering from surgery. The Ducks have 29 practices before their September 2nd opener against Southern Utah. (Bend, OR) -- Oregon State is moving back its Friday football scrimmage from an afternoon start to 7:30 p.m. With 100-degree temperatures forecast, the Beavers opted to change the starting time. OSU coach Gary Anderson confirmed freshman defensive end Issac Garcia has left the program for personal reasons. Well the Bend Elks are down to their final 3 games of the regular season hoping to win their way in the Westcoast League playoffs. Last night, Bend dropped its getaway night game in Gresham losing to the Grey Wolves, 7-6. So, it comes down to the Elks having to win out hosting visiting Cowlitz this weekend at Vince Genna Stadium for Bend to make the postseason. Cowlitz has 6-games remaining and hosts Yakima tonight through Thursday, while Corvallis is in Wenatchee for three games. Bend has to win all three remaining games starting Friday night at home, and hope Corvallis and the other Division rivals only win two more games to have any chance. Posted: 2017-08-01 06:52:00	by Metro Source Media Metworks, Inc.
(Hillsboro, OR) -- The Hops will host the Northwest League versus the Pioneer League All-Star Game tonight at Ron Tonkin Field. Hops All-Star selections are right-handed pitchers Erbert Gonzalez, Tyler Keele and Riley Smith, catcher Daulton Varsho, first baseman Parvin Smith, second baseman Yah Sanchez and third baseman Eudy Ramos. Hillsboro is a Diamondbacks' farm club. (Houston, TX) -- Rockets forward Terrence Jones has signed with Qingdao in the premier Chinese pro basketball league. The one-year deal is for two million dollars. Jones played high school basketball for Portland Jefferson before going to Kentucky. He has played five years in the NBA.